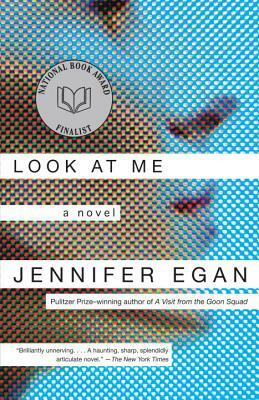 In this ambitiously multilayered novel from the acclaimed and award-winning writer Jennifer Egan, a fashion model named Charlotte Swenson emerges from a car accident in her Illinois hometown with her face so badly shattered that it takes eighty titanium screws to reassemble it. She returns to New York still beautiful but oddly unrecognizable, a virtual stranger in the world she once effortlessly occupied. With the surreal authority of a David Lynch, Jennifer Egan threads Charlotte’s narrative with those of other casualties of our infatuation with the image. There’s a deceptively plain teenaged girl embarking on a dangerous secret life, an alcoholic private eye, and an enigmatic stranger who changes names and accents as he prepares an apocalyptic blow against American society. As these narratives inexorably converge, Look at Me becomes a coolly mesmerizing intellectual thriller of identity and imposture.